There are now three places inside the airport where your pet can use the bathroom. These areas are past security checkpoints. 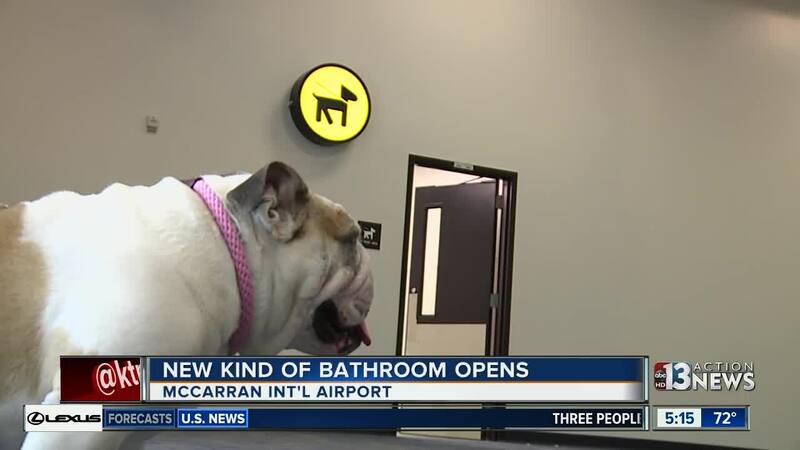 A new kind of restroom just opened at McCarran Airport, bringing relief to many four-legged friends. 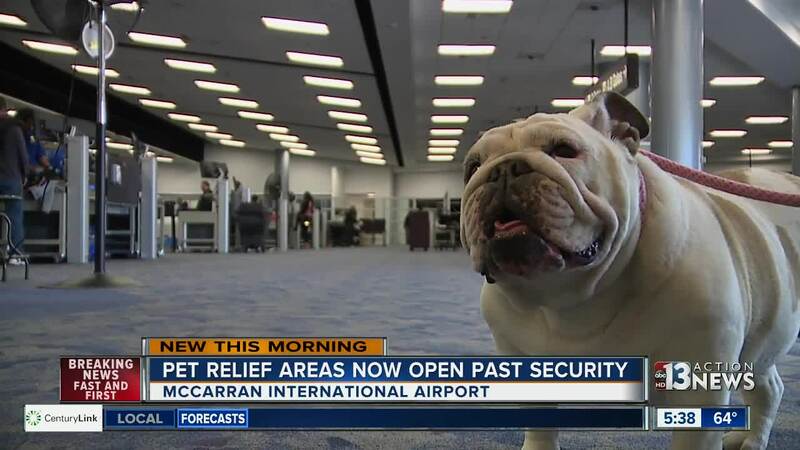 There are now three places inside the airport where your pet can use the bathroom. These areas are past security checkpoints, so you don't have to go back outside if nature calls. The relief areas were installed in Terminal 1 and Terminal 3. Underneath the fake grass is a water system that is continually cleaning. Old storage closets and other existing spaces were converted to make the new bathrooms. They cost about $400,000 to install and were paid by fees and services at the airport.